4f Note allows you to create digital pages that can be stored on the server. The url address of the page allows you to share it over the net. The page can be read in any browser. Another 4f Note user can also comment and update your page, and send it back to you. 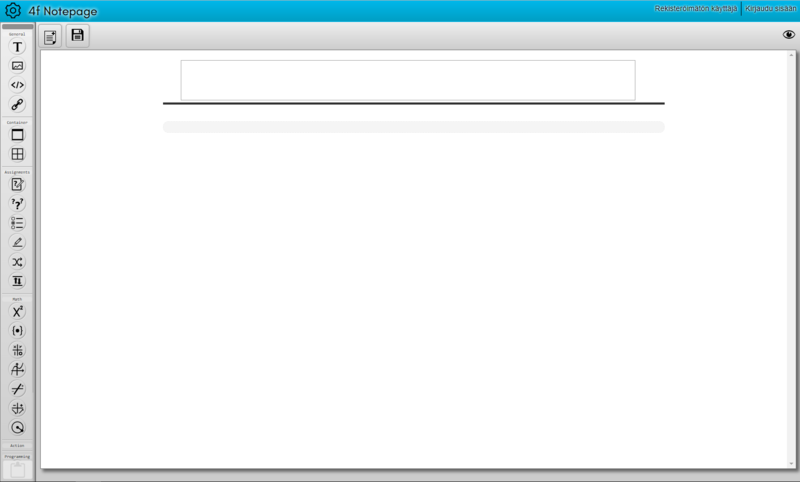 All the tools available in 4f Notebok and 4f Studio are also available here. You can also use the 4f Checker on you structured derivations. Subsccribe to 4f Note. A one year subscription allows you to save your pages on the server and share it with other users, as well as use the 4f Checker. Registering gives you two weeks trial period and 20 free checks. You can also try 4f Note for free, without registration, to see whether you like it. Saving, sharing and checkin are then, however, disabled. A 4f Notes page is a collection of different kinds of content elements that are laid out on the page. You can easily add, modify , reorganize and delete content elements on a page, as well as choose how to lay out the elements on the page for best possible readability and usability. Most content elements are interactive, and some may require internet access. The page elements available are described here. Edit mathematical text with standard mathematical notation. Both inline formulas and displayed formulas are supported. Mathematical symbols are chosen from a palette, or typed as LaTeX commands. Add geometrical pictures, funktion graphs, sign charts, and mathematical tables to the page. 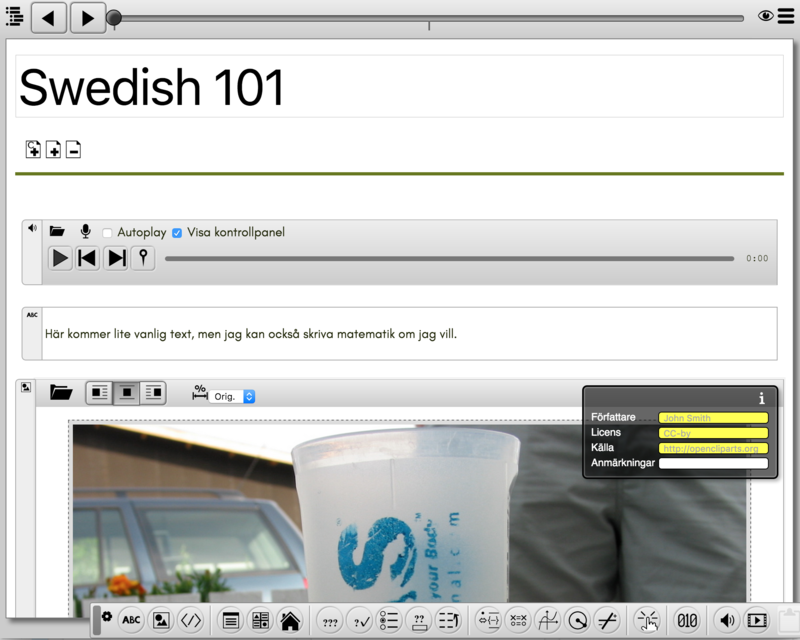 Text, pictures and other material can be combined in different ways in a content box. 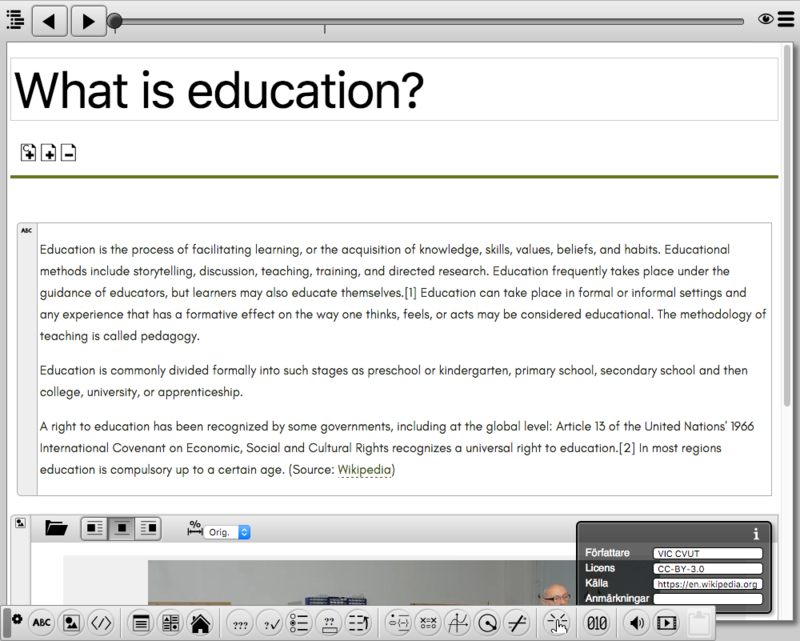 Distinguish assignments, examples and summaries etc with different layouts. Check out here what math tools are available. 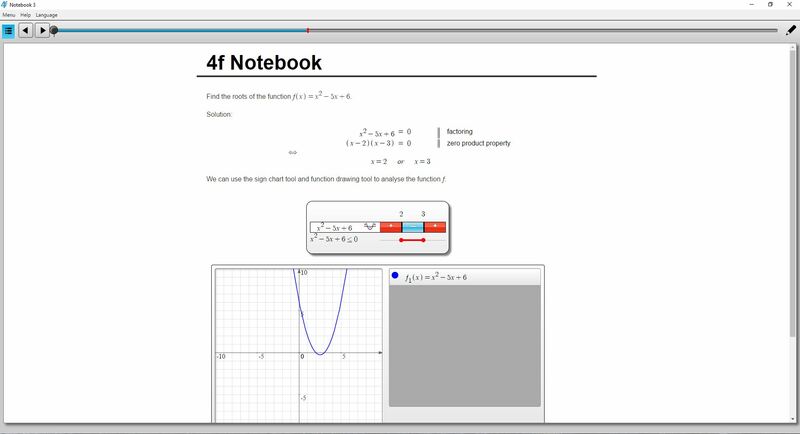 The 4f Checker is available in 4f Notes Online.The checker gives you rapid feedback on the correctness of your derivation. It marks all the derivation steps that are wrong or problematic. Check out here how the automatic checker works.